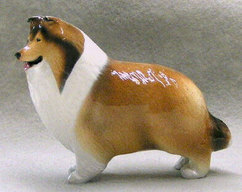 A very interesting figurine of a breed that has fascinated millions of people over the years ... Story book heroes, pets, guardians, and the love of so many ... 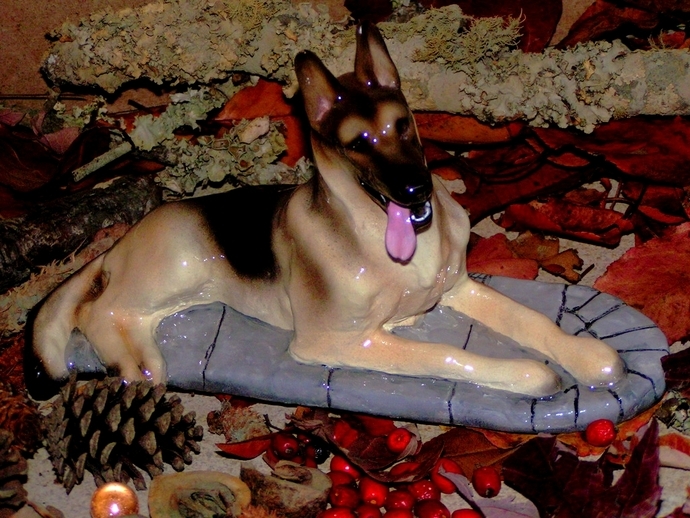 Here is the German Shepherd waiting for your command ... anything for your love. Many people say ours is one of the last figurine studios in America, and that might be true. We are also known for professional restoration of many figurines and porcelains such as Royal Doulton, Lladro, Staffordshire, Hummel, etc. Remember: because Hevener Figurines are hand-made, no two can ever be exactly identical (And, this has always given them an extra value for collectors). 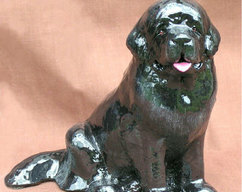 For over 50 years, we have designed and made many collectible figurines. We started by making clay souvenirs for tourists visiting our beloved Pennsylvania Dutch Country, where the studio still operates today . . . and, yes, we have hosted many tours to the studio, but we prefer to keep it private. The designs are made in clay and the figurines are cast in a blend of stone paste we have tested and developed over many years. The photo shows you samples and an original figurine being designed at the studio. No robots for us! Only real, pure imagination. This piece is approximately 6 inches long. 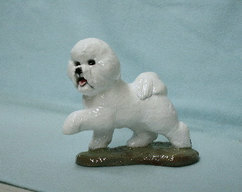 The Hevener Figurines have been collected world-wide for more than 50 years, and they are sold at the finest dog and horse shows such as Westminster, Crufts and Scottsdale. As always, just ask for the color you like and we will do our best to please. We are YOUR studio! “America’s Studio” . . . And you are invited to see other celebrations of this breed in our online stores inspired by the books and stories of Ron Hevener.